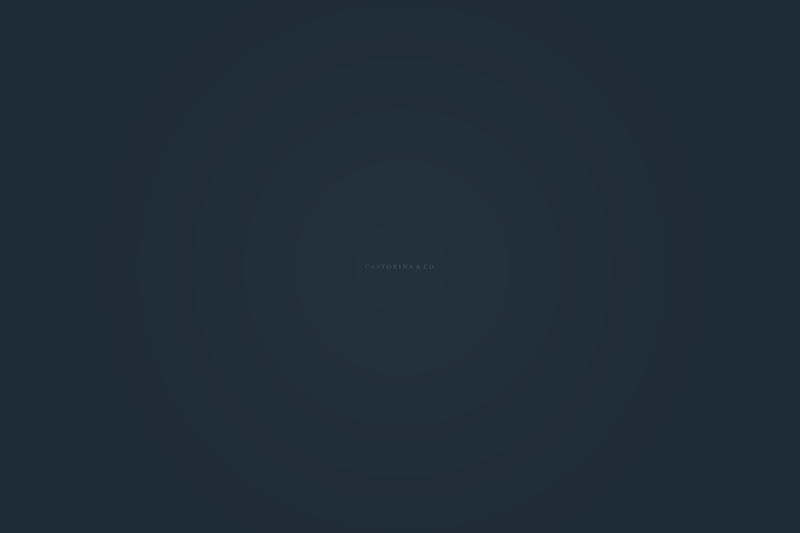 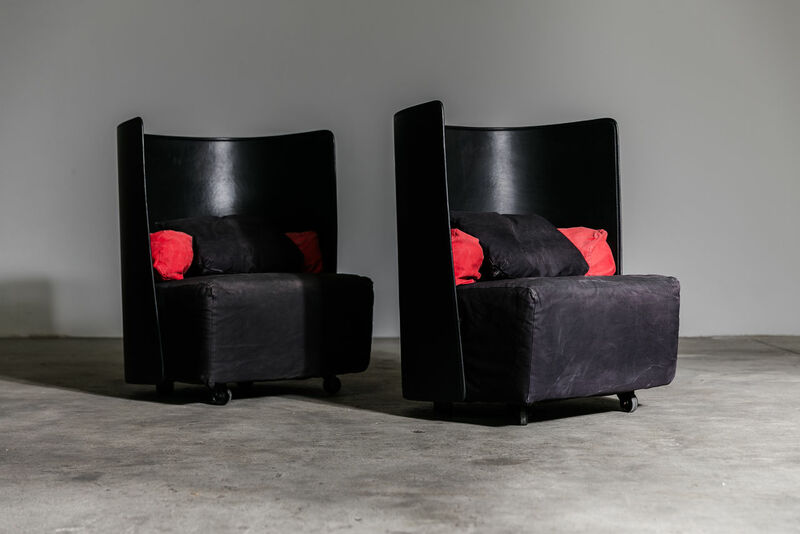 Pair of Campo Lounge Chairs, 1984, Italy | Castorina & Co. 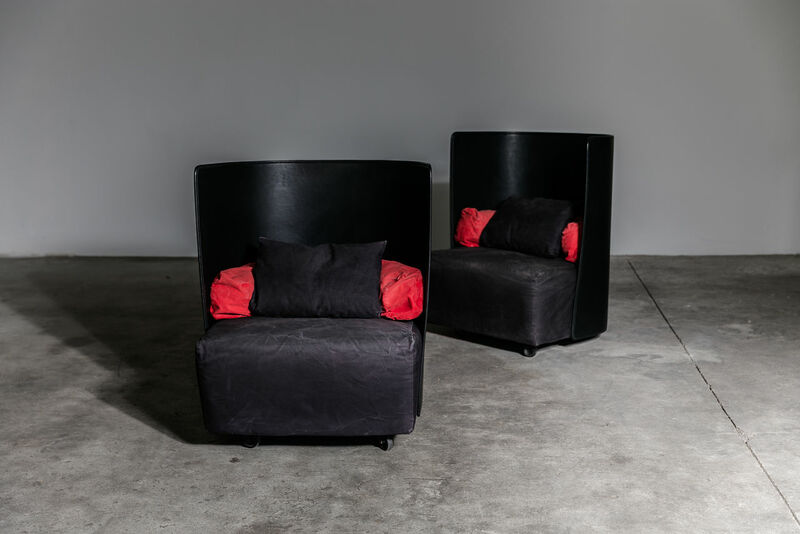 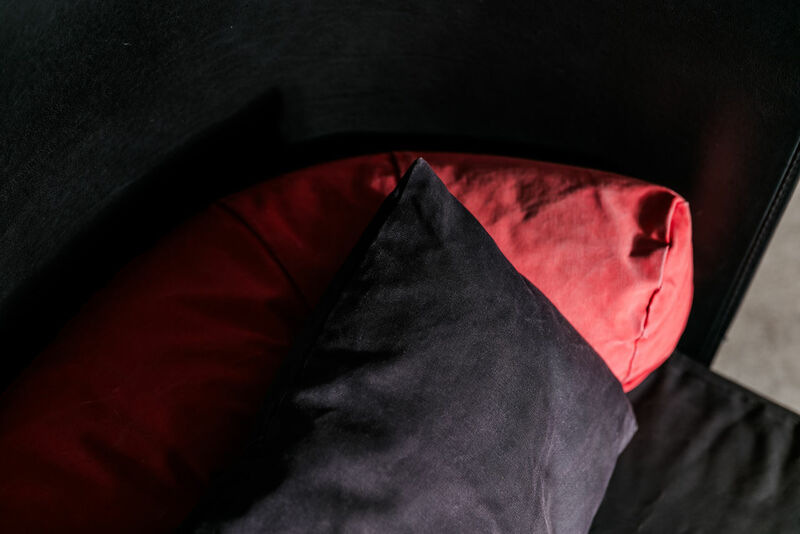 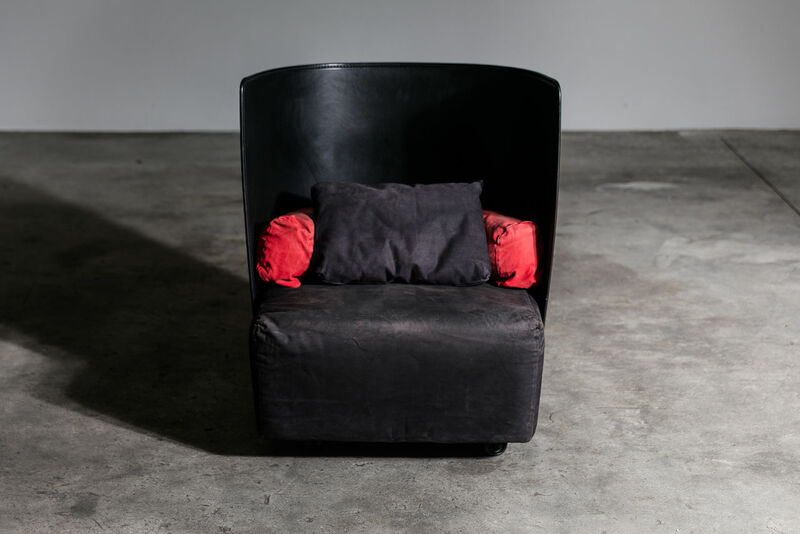 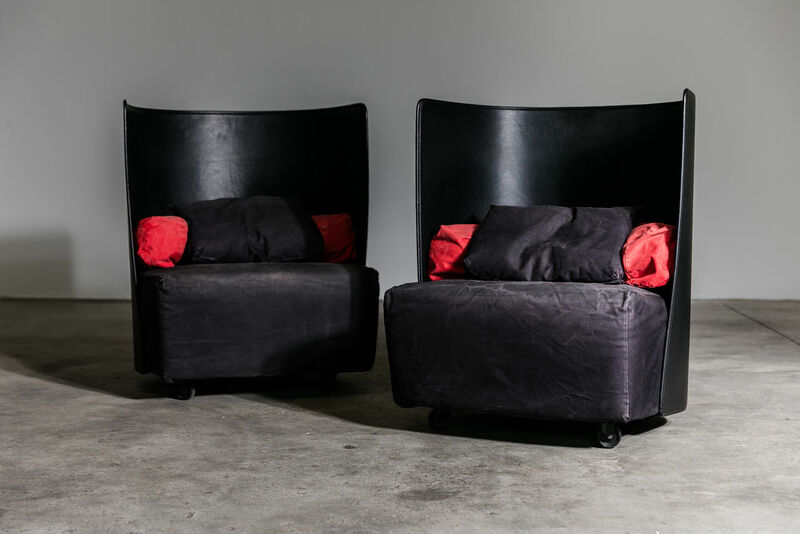 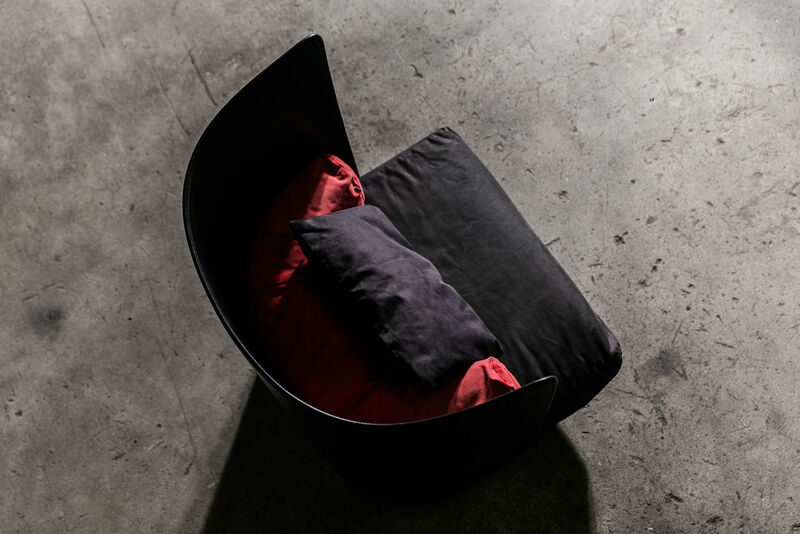 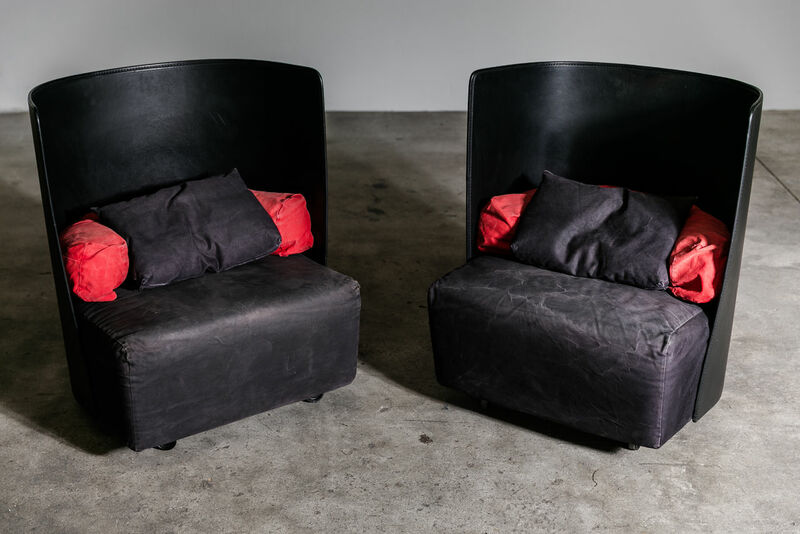 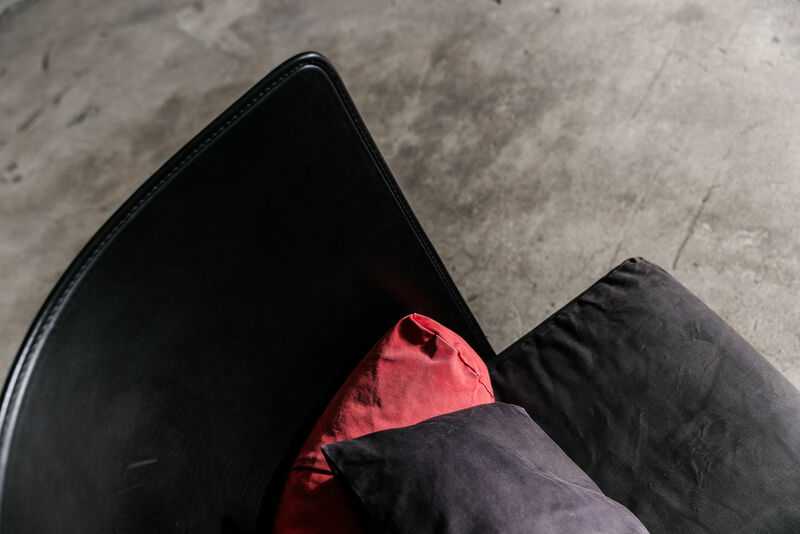 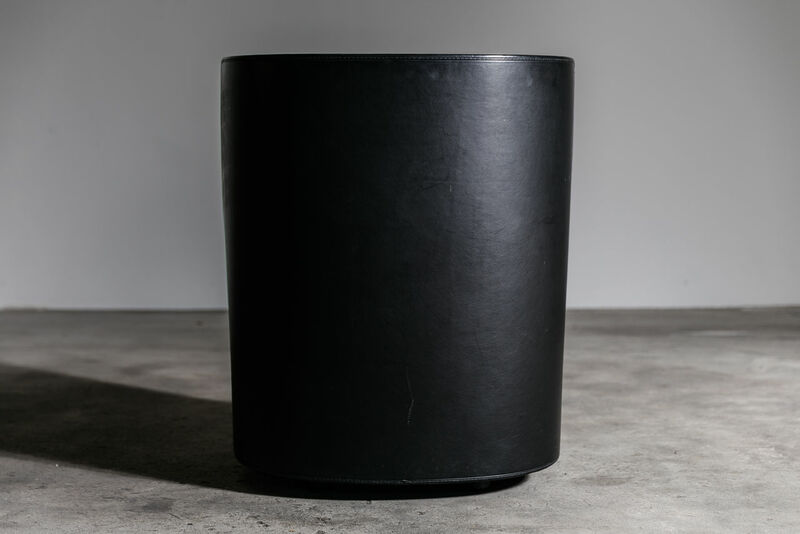 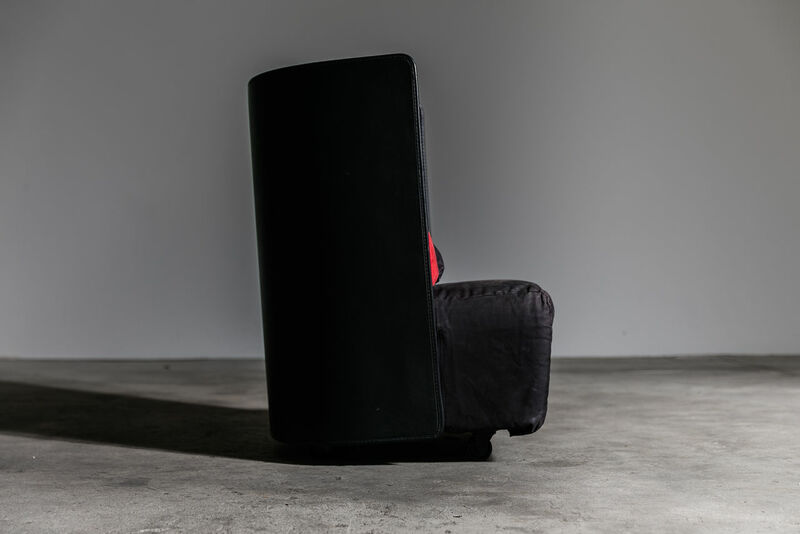 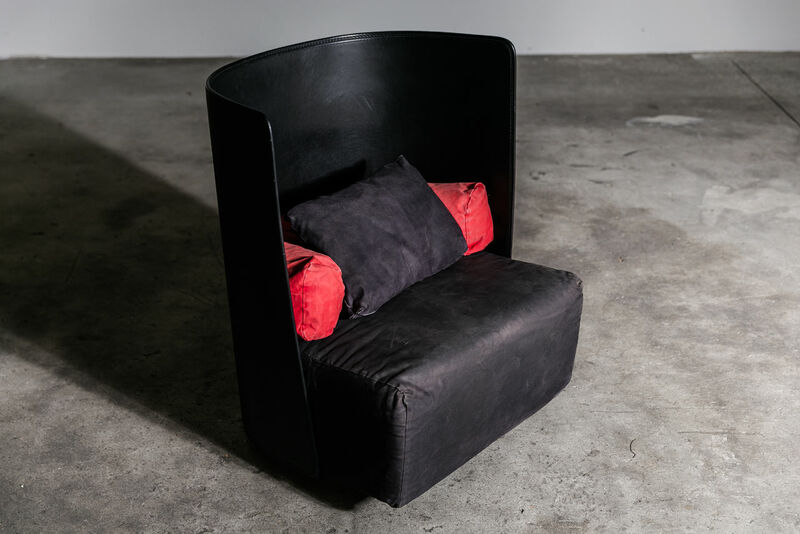 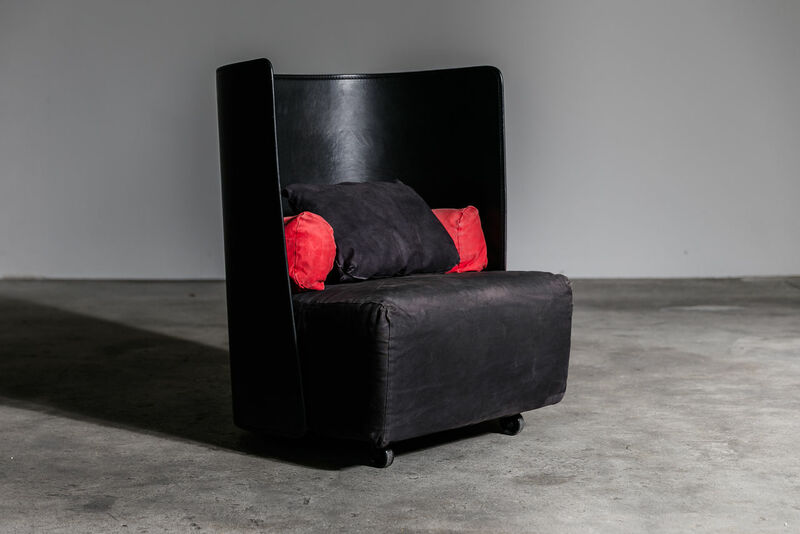 Pair of Campo armchairs by Jonathan de Pas, Donatto D'Urbino and Paolo Lomazzi for Zanotta in 1984, The circular backrest is made of leather, and makes you feel like a cocoon, a circular red cushion helps you to hold the lumbar and a small black cushion at the top to hold the back. 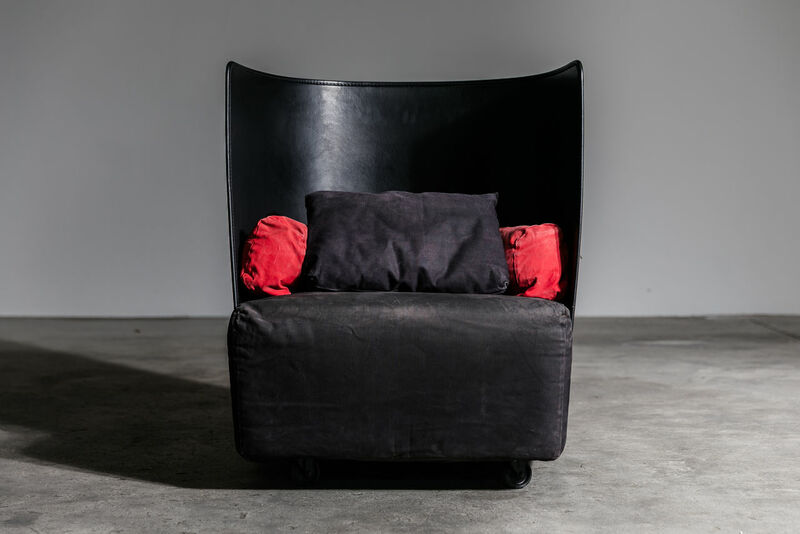 Original fabric with the Zanotta label still attached.